I had a superb time during my trip there. It was a productive business trip, which was even made more fun because of relatives, friends, and of course, good food. And yes, it was so much fun hanging out with fellow foodies and friends from there. 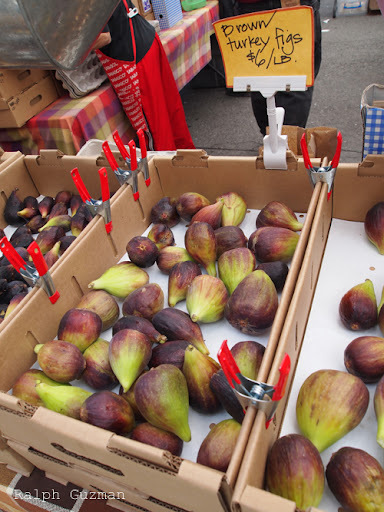 Aside from trying out the good restaurants in the Bay Area, friends from there and from the Philippines told me to make sure sure to visit the Ferry Plaza Farmers Market. And so, one Saturday morning, I took the street car straight to the weekend market. 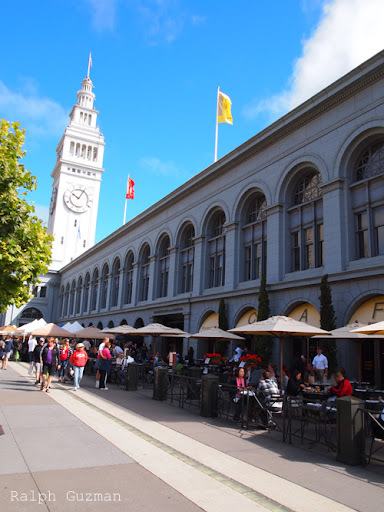 The Ferry Plaza’s highlight is the Ferry Building, which opened in 1898 as a terminal for ferries crossing San Francisco bay. It is located on the Embarcadero. It is a short bus ride from another popular tourist spot, the Fisherman’s Wharf. I love farmers markets/weekend markets. 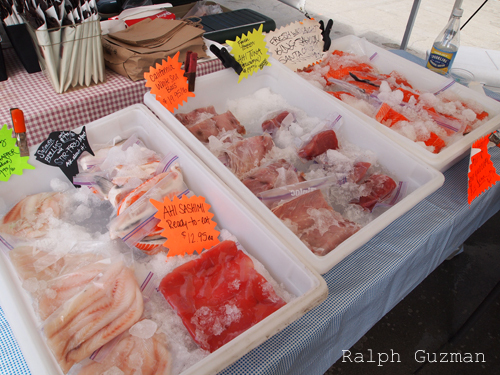 They feature the freshest ingredients, and also showcase products you don’t normally see in mainstream shops. 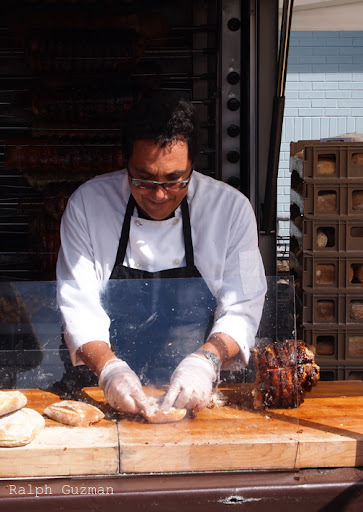 As a foodie, I always feel my horizons — my knowledge of food — expand whenever I get to visit weekend markets. And I’m not only talking about San Francisco or New York. 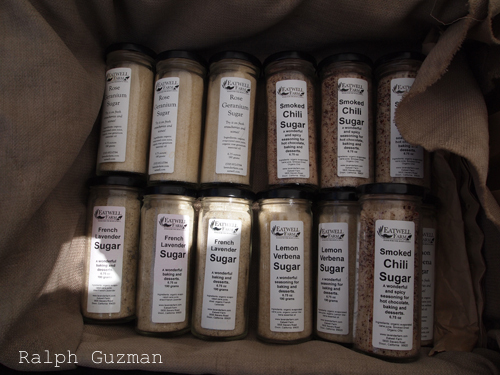 I am also talking about several wonderful weekend farmer’s markets here in Manila. 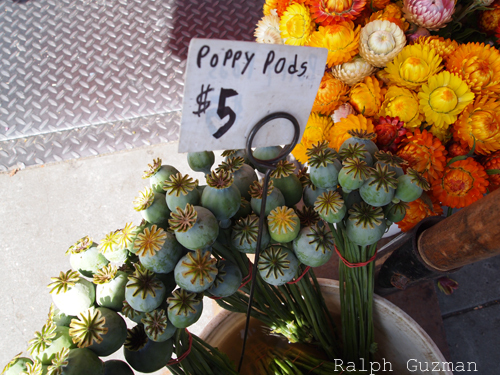 The Ferry Plaza Farmers Market has been a favorite of locals and tourists for quite some time. It has instantly become my favorite too. They are open Tuesdays, Thursdays, and Saturdays. However, the Saturday market has the most stalls. 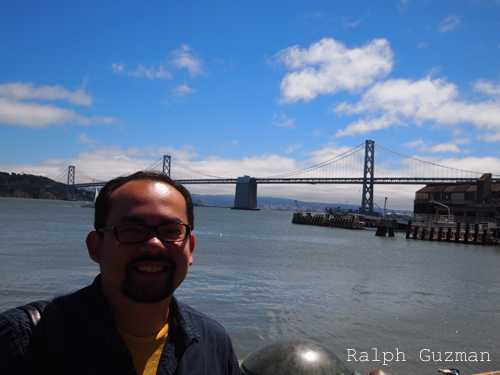 For me, it’s really a blessing to see San Francisco during the summer (my first time was during winter). In the past, I would always hear TV chefs rave about summer fruits and vegetables, which people from tropical and winter-less countries may not be able to relate to. We have tomatoes all year round, after all. So what’s the big deal, I asked myself before? Well, the big deal, I realize, is that many vegetables and fruits really are at their “best of the best” during the summer, and it was wonderful seeing and tasting them first hand. Here are some of the sights and tastes of my visit to the place. 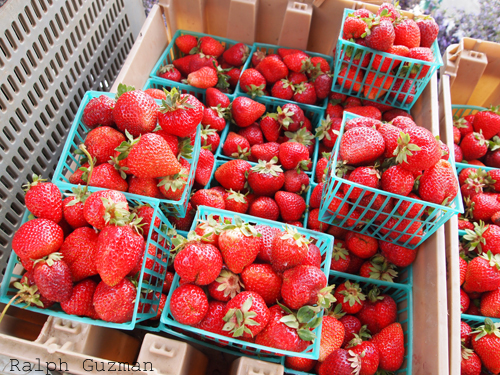 Fresh, juicy, delicious produce everywhere! 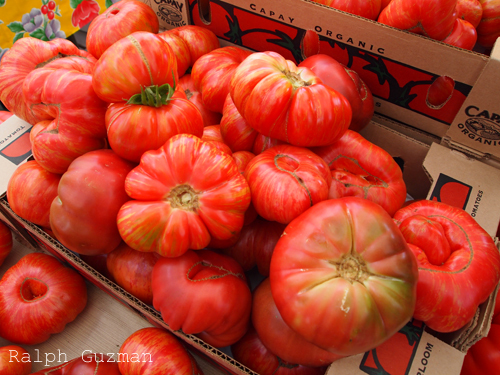 The tomatoes are just so plump and juicy. I wouldn’t mind biting one on the spot. Looking at the fresh ingredients made me wish I had cooking tools with me. I would have wanted to cook on the spot. 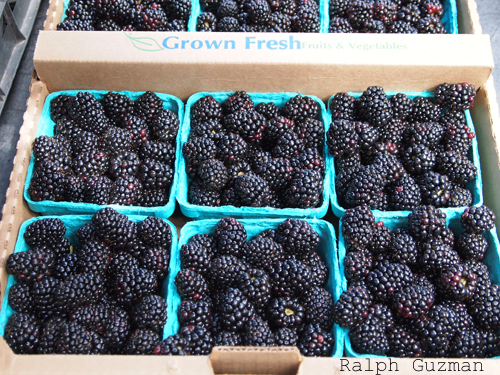 Fresh blackberries — not the phone, but the fruit. Strawberries were very big and sweet. 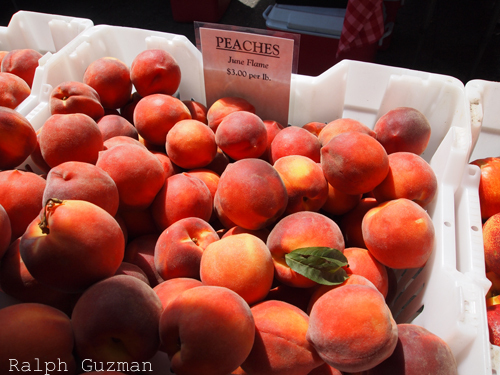 Fresh Peaches. 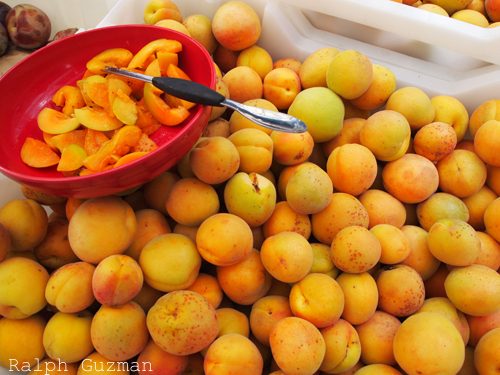 For someone like me living in a tropical country, it’s a real treat to see and taste fresh peaches. I rarely see fresh peaches in the Philippines, and if I do, they’re usually quite pricey. So it’s a good contrast to see these fresh ones in comparison to the ones we see in cans. 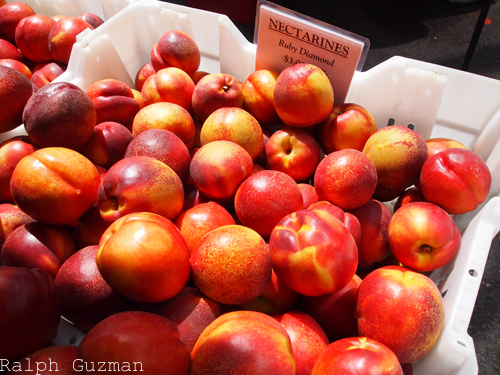 Nectarines. I thought they were peaches at first. Hope to taste these next time. 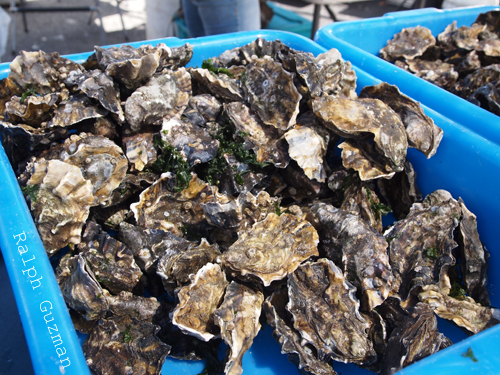 They also have a fine selection of fresh seafood. Are you on a low-carb diet? 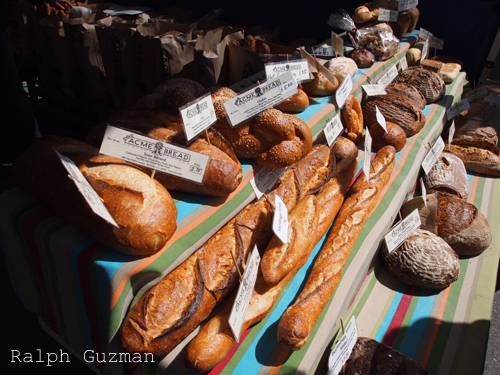 Well, you may want to skip it because of the market’s artisan breads. A saying goes like this: Man cannot live on bread alone. So what does he do? He invented the sandwich. 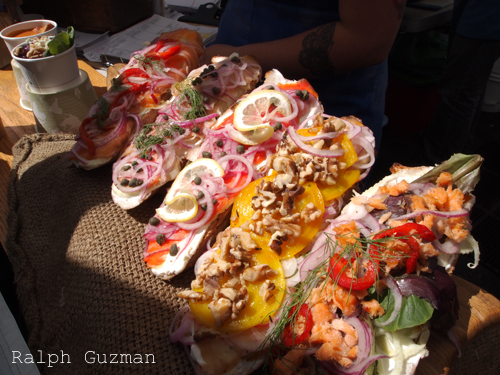 Delicious (open) sandwiches here. 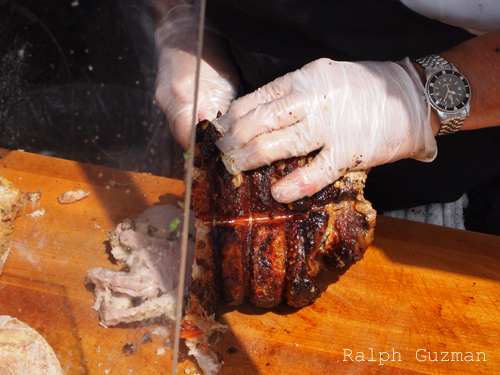 Last but not the least, my friends told me to get the Porchetta Sandwich. 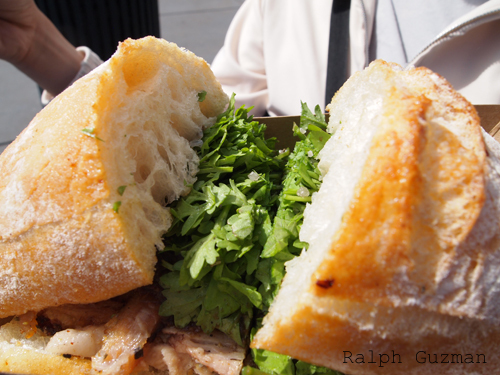 It’s a roast pork sandwich with lots of fresh Italian parsley. I want to learn how to make this one of these days and prepare it at home. It was the best treat of the morning. As a bonus, you get to eat your food with a good view of San Francisco’s Bay Bridge as well as the rest of San Francisco Bay. This entry was posted in Rated by Ralph, Restaurants & Food Trips, Travel and tagged Farmers Market, Ferry Building, Ferry Plaza, Ferry Plaza Farmers Market, RatedRalph.com, San Francisco, San Francisco Tourism by Ralph. Bookmark the permalink.